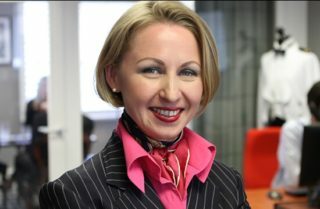 Jurga Zilinskiene is the Founder and CEO of Today Translation & Business Services, and the Steering Group Chair of the Corporate Council for Women in Commerce. Jurga founded Today Translations in 2001 while still at university and using her own savings. Since then, her leadership has seen the company grow and spread across 4 continents. A self-taught coder, Jurga has led the development of many of Today Translations’ technological solutions and offerings herself. Early in her career, Jurga was awarded the Shell LiveWIRE award for young entrepreneurs. The judging panel clearly saw Jurga’s potential, as her continued business success saw her invited back in 2015 to judge that year’s competition. Jurga has attended Harvard Business School and the University of London.